Yard and Garden: Keep a well-tended lawn and add some potted plants and flowers in warmer months. Maintain good snow-removal in winter. Storage: Neaten and organize closets, basement, attic, garage and shed. Declutter and move some things to off-site storage to accentuate your home's spaciousness. Maintenance and Repair: Take care of those little details that have been piling up. Replace a broken switch, hinge or knob. Renew with paint. If you love it, they'll love it! Light and Ambiance: Sunny and well-lit rooms feel larger. Clean windows and keep shutters and drapes open for a cleaner, brighter and more spacious feel. Show Off the Good Stuff: Rearrange furniture to show off a beautiful view and spotlight your home's best features. Personal Touches: Create an inviting atmosphere with plants, fresh flowers and lightly-scented candles on tables, kitchen and bathroom counters, built-in shelving and mantel and hearth. Increase appeal and add color with tablecloths, ribbons and tasteful seasonal decorations throughout, and especially on your front door. Most importantly, ask for the unbiased opinion of someone who has your best interests at heart – your RE/MAX Valley Brokers agent. We have ideas, and we want your home to sell, too! 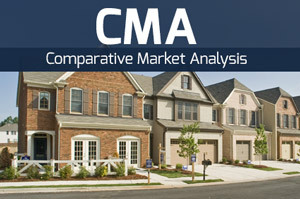 Click Here to request a FREE market analysis and price opinion for your property.